Most of our team has never visited this factory because it is virtually impossible to obtain permission to enter Gaza. We communicate over the phone to bring a design from paper to your closet. 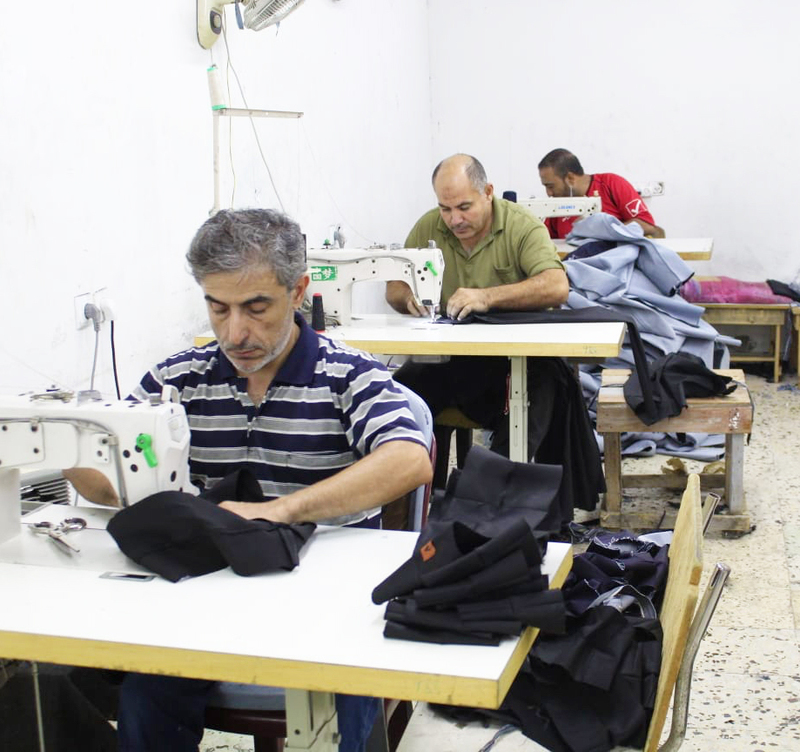 In the summer of 2017, we were connected with Hassan and his son through a consultant working to connect producers with manufacturers in Gaza. She assured us that he would be the right person to start producing our jackets with and we’ve been working together ever since. The fabric used to manufacture our apparel is either sourced locally or from Europe and China, depending on what the item is and what is available. Often, production schedules are delayed due to erratically and indefinitely closed Israeli military checkpoints. After an order is completed, the apparel is transported from Gaza to Ramallah through Karm Abu Salem checkpoint. 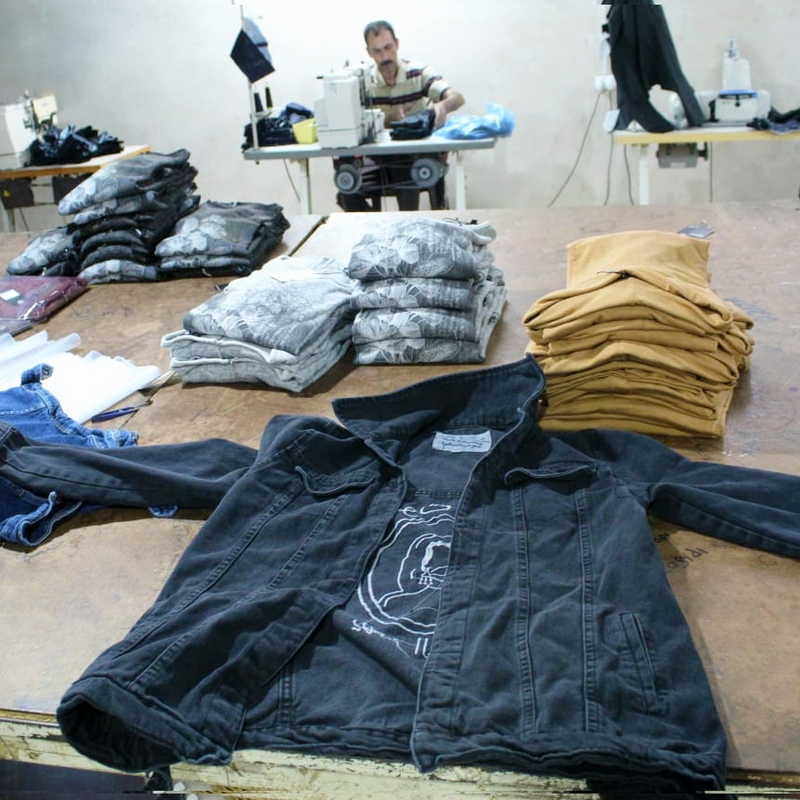 The apparel is then divided into inventory for our Ramallah store and for sale in the United States.